Linked directly to customer checking accounts, debit cards are one of the fastest growing payment methods today. First Data offers debit processing with signature- or PIN-secured debit cards so customers can access cash, buy goods, pay bills, or use electronic benefits from government assistance programs. You’ll be able to provide customers with a quick and secure way to pay and have the ability to offer cash back with a purchase. For the customer, this means time savings with fewer trips to the ATM. 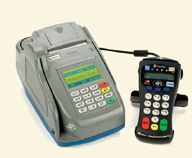 We have a wide range of debit acceptance POS equipment options for you to choose from. Customers increasingly prefer alternatives to paying with cash or check, which can be costly for customer and merchant alike. For the customer, having cash on hand often means an extra trip to the bank or ATM. For the retailer, checks can have burdensome costs while cash is prone to shrinkage. The costs of processing electronic transactions are also rising, and for large payments, interchange rates can quickly cut into your profitability, especially when you’re prohibited from passing along processing costs to the consumer. 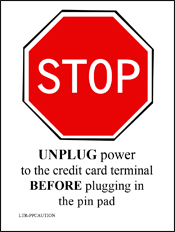 PIN debit cards, also called online debit cards, require electronic authorization of every transaction and the debits are reflected in the user’s account immediately. 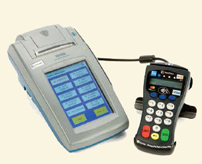 The transaction may be additionally secured with the personal identification number (PIN) authentication system and some online cards require such authentication for every transaction, essentially becoming enhanced automatic teller machine (ATM) cards. 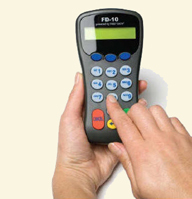 One difficulty with debit cards, however, is the need for an electronic authorization device at the point of sale (POS) and sometimes also a separate PIN pad to enter the PIN, though this is becoming commonplace for all card transactions in many countries. Overall, the online debit card is generally viewed as superior to the offline debit card because of its more secure authentication system and live status.